I find it interesting that contests/sweepstakes barely made it into the top 5 of this study where this reasoning is typically the top response in other studies. 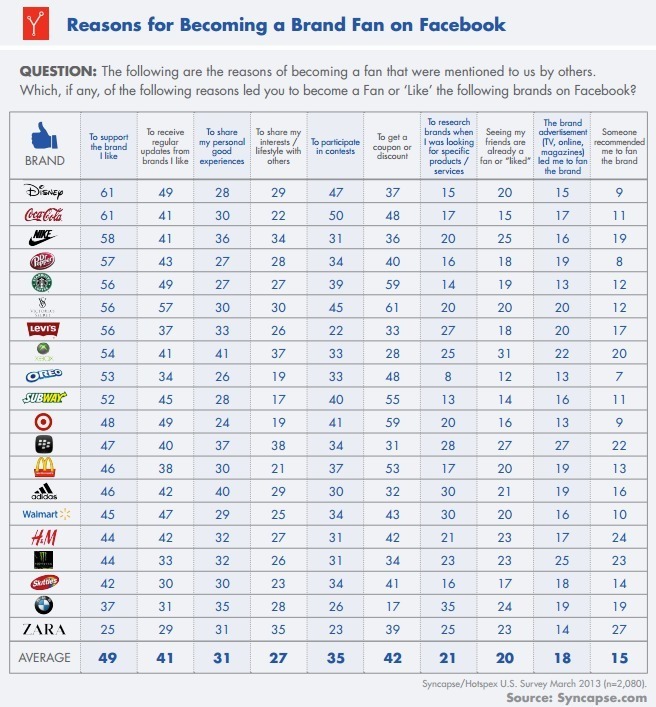 I think the way this study was conducted from the brand level, putting each of these questions in context of a specific brand that the consumer has liked on Facebook, speaks to the importance of brand affinity in social. It tells me that for brands that consumers identify with and have a high affinity for, they are less likely to need freebies and gimmicks as incentive to follow the brand in a social channel. Read the full study from Syncapse here.